Wage Garnishments: What Income Can be Garnisheed? Home » Blog » Wage Garnishments: What Income Can be Garnisheed? What kind of income can my creditors garnish? How much of my income can they garnish? What can be done to stop the garnishment. Today’s podcast is all about what types of income are subject to seizure through a garnishment order and how much can be garnisheed. If you are under a garnishment order, you may also want to read or watch our podcast on steps to take if you have a wage garnishment. What kinds of wages or income can be garnished? In general, wages in all forms can be garnisheed, but most other forms of income cannot be withheld under a creditors garnishment order, except for certain exceptions for child and spousal support orders, or by the CRA for tax arrears and benefit overpayments. For garnishment purposes, wages can include any payment you receive from an employer for working, and includes hourly wages, salary, or piecework compensation. Can severance pay be garnished? Yes, severance pay or termination pay can be garnisheed as it is considered wages, because it arises as a result of your employment. Can Ontario Works be garnished? Under the Ontario Works Act basic financial assistance is not subject to garnishment, attachment, execution, or seizure. The only exception is support orders under section 20 of the Family Responsibility and Support Arrears Enforcement Act that can be garnisheed. Can a disability pension be garnished? The answer depends on whether your disability income is from a company disability plan or government benefit programs like ODSP. Long term disability payments provided through a company disability pension are a replacement for lost wages, and are therefore deemed to be wages, and can be garnished. Under the Ontario Disability Support Program (ODSP) Act, income support is not subject to garnishment, attachment, execution, or seizure, except for support orders. Can retirement income be garnished? Neither the Ontario Pension Benefits Act or the Canada Pension Plan Act make any reference to garnishments. That means that a typical creditor cannot garnishee your retirement pension or Old Age Security (OAS) including the Guaranteed Income Supplement, the Allowance, and the Allowance for the Survivor. Pension funds you deposit into a bank account where you owe money. Banks can seize money in your account if you owe them money. This is called the right of ‘set off’. They can take any amount out of your account, up to the balance owing. Child or Spousal support arrears. The Family Responsibility Office can be granted a garnishment of pension income to recover arrears for child or spouse support and can garnish up to 50% of your pension. Canada Revenue Agency (CRA) has broad garnishment powers. No court order is required for them to garnish your pension. They can simply send a letter to your bank or the Income Security Program office (the government office responsible for CPP and OAS). Income Security Overpayments. If you were overpaid (perhaps on OAS where your income increased), the government can deduct overpayments from future benefits until the entire amount is repaid. Social Assistance Repayments. If you are eligible for OAS you are generally not eligible for Ontario Works or ODSP, but if you are over paid, the overpayment can be clawed back from your pension. Can my tax refund be garnished? If you file your tax returns and are owed a refund, the only creditor that can garnish the refund directly is a government agency like the CRA, Family Responsibility Office, Student Loans etc. This is a common occurrence if you have government debts in collections such as student debts, government over-payments, tax debts or support payment arrears. Non-government or private lenders do not have the legal ability to garnish your tax refund. They can however apply to the court to freeze your bank account which means if your income tax refund is deposited in your bank account, your creditors may seize those funds once they obtain a judgement order. If you need to stop a wage garnishment, talk to a Licensed Insolvency Trustee. We can explain your options, and help you get a fresh start. How much wages can be garnished? Under the Ontario Wages Act, a judgement creditor (like a bank or credit card company) can garnishee up to 20% of your net wages (after statutory deductions for taxes, CPP, and Employment Insurance). A support order for child support or spousal support can garnishee up to 50% of your wages. Canada Revenue Agency is not bound by the provincial Wages Act, and therefore can theoretically seize up to 100% of your wages, although they typically take 20%, or 50% of your wages in extreme cases. A judge may increase or decrease the amount of the garnishment. In 2017 the Ontario government started a pilot project to test basic income. The pilot project is currently operating in Hamilton, Brantford and Thunder Bay. In the pilot project, participants receive a set amount of money each month. Can this income be garnisheed? We don’t know. Other income support programs, like Ontario Works and ODSP, have specific legislation that specifically prohibits income garnishment. There is no such specific provision in legislation for Basic Income, so it is possible that it could be garnisheed. We don’t know, and we probably won’t know until either specific legislation is enacted, or there is a court case where the court makes a ruling. We will continue to monitor this new source of income. Basic Income. Is it a silver bullet for poverty? TRANSCRIPT Show 168 What Types of Income Can Be Garnisheed? Subscribe and download at iTunes or using the Stitcher app, or subscribe via our rss feed or download directly. Doug H: One of the most common reasons that people call the Hoyes Michalos 310-PLAN helpline is because either their wages are being garnisheed or a creditor is threatening to garnishee their wages. We’ve done a podcast about what steps to take if you have a wage garnishment, today we’ll give a quick reminder of what you can do if you are faced with a wage garnishment, but we’ll start by talking about what types of income can be garnisheed and how much of your wages can be garnisheed if you receive a garnishment order. We’ll discuss different forms of income, so if you’re listening today and you’re only interested in one type of income, like wages, and aren’t interested in the other forms of income that can be garnisheed, like pensions, well no problem I’ve got you covered. You can go to the show notes over at hoyes.com/podcast and find the show notes for this show. I’ve created a list of the time stamps for each topic we cover so you can fast forward to the exact topic you want to hear about. So, to help us talk about all things wash garnishment returning to the show once again, but for the first time this season, is Ted Michalos, my Hoyes Michalos co-founder and business partner and Ted of course like me is a charter accountant and a licensed insolvency trustee. Ted, welcome back. Doug H: So, before we begin, let’s address a question that bothers everyone. Is the correct term garnish or garnishee or garnishment? Ted M: It’s okay. So, let’s look at some definitions and maybe have a little bit of fun. What’s a garnish? So, a garnish is some sort of decoration or embellishment. You usually think of it when you’ve got a food out as a presentation. You know, that fancy turkey dinner you see on the TV with some parsley on the outside, maybe some lettuce, that sort of thing. Doug H: Exactly, parsley, parsley is a garnish. Ted M: Now, on the same token though, garnish is also a legal term which means to serve with a garnishment. So, I guess we’ll have to talk about what a garnishment is. So, you can actually be garnished. How’s that for confusing things? Doug H: So the answer is all the terms are correct then. Ted M: Sure. Well, we didn’t talk about garnishee, which is a funny term. It’s generally the one that most legal professionals think of when you’re talking about taking a deduction from somebody’s wages, you are garnishing them. But it’s correct to say garnishment, garnishee or to garnish. You’re right, it’s all right. Doug H: It’s all right. So, that’s good so that’s one of the few terms where it doesn’t really matter how you use it because I get corrected on that all the time. People say oh well, garnish, that’s something you put on your food which is why I typically use the term garnishee but they’re all correct. So, okay so now for the real question, what sources of income can be subject to a garnishment order? So, obviously we help people with many different sources of income, the most common sources of income would be wages, Ontario Works, disability payments, pensions and there’s even this new basic income that’s being piloted in Ontario we can talk about. So, let’s start with the most obvious source of income, which is wages. And can wages be garnisheed? So, in Ontario we have something called The Wages Act, it’s really short, it’s only three pages long so we’re going to quote from it now. So, obviously if you’re listening to this podcast outside of Ontario Canada the laws will be different in your area but the basic concepts in most provinces and states are very similar. So, this should still be a good guide for you but again we’re talking only about laws that apply in Ontario. So, Ted let’s start with the obvious question, quote me from the act, what is the definition of wages? Ted M: Alright, so wages mean wages or salary whether the employment or with respect to which is the same payable either by time or by job or by piece or otherwise. So what that means is it’s money you’re getting paid for working. It doesn’t matter if you’re getting paid by the hour or piecework or my salary, it’s all considered wages, you earned the money. Doug H: Okay and that’s pretty simple something I get paid for working, that’s what wages are. Now you and I both have jobs. Doug H: So far, depends what we say on this podcast I guess. We both get a paycheque. I mean we happen to own the company that pays us but we do get a paycheque. And as every employee knows money is deducted from that paycheque. So, if I make $15 an hour, I don’t get paid the entire $15 because my employer is required to take off money for employment insurance and CPP and income taxes. So, when we’re talking about wages subject to a garnishment – how do those deductions factor into it? Ted M: Okay. So the act very clearly says that your wages do not include an amount that the employer’s required to deduct by law from wages, so that would be your CPP, your EI premiums, any other legally required or statutory deduction from your pay. So if someone is getting a garnishment order against you, your wage – it’s on your net pay or rather your pay net of government deductions. Doug H: Your net pay, okay. Ted M: That’s easy to understand. Doug H: That’s easy to understand, so, if I get paid $15 and a $1 is coming off, I’m only really getting $14 an hour, I can be garnisheed on the $14, not the $15. Doug H: Okay, so the real question, the big question is, what percentage, how much of my wages can be garnisheed? Ted M: Alright, so this is where the government gets cute. So in the Wages Act it says subject to subsection 3, which we’ll talk about in a second, 80% of a person’s wages are exempt for seizure or garnishment. So, instead of saying that they can take 20% of your net pay, they say 80% of your net pay is protected. Doug H: Yeah, this is why the government just drives us crazy. But okay, yeah so you’re right, why not just say 20%, they can take 20%? Ted M: Well, it’s easier to understand now. Subsection 3 says that 50% of a person’s wages are exempt from seizure or garnishment in the enforcement of a support order. So that means that if you’ve got a spousal support or child support order they can take up to 50% of your next pay. Doug H: Okay so let’s do some math here then. So my gross salary is $1,000 and my employer’s required to deduct $200 for E.I, CPP and taxes so normally my net paycheque is $800, what’s the maximum that can be garnisheed? Ted M: Alright, so for what we’re going to call a regular creditor, a normal creditor, an execution creditor, those are all terms that people use, they can take 20% of your net. So, if your net is $800, 20% of that is $160, your pay would be $640. Now if it’s a support order, it can be 50% of your net. So, if your net is $800, 50% of that is $400, you’d receive $400 in pay. There’s another twist though. Doug H: So tell me the other twist then. Ted M: So, the other twist is that the court has the right to adjust those exemptions up or down. Effectively any time something’s in court, judges have the discretion that they can say well, the 20% isn’t fair, you can afford more or that’s too much. And so you’ve got to keep in mind that the vast majority of the times 20% is the limit for an execution creditor, somebody that sued you, 50% is the limit for a support order. Doug H: But it someone goes to court and convinces the judge to make it different then it could be different. Doug H: So we’ll talk about CRA shortly but as a general rule, federal law trumps provincial law so Revenue Canada is typically not bound by that 20% limit either. So, we’ll get back to that. So, okay let’s knock through then the different kinds of income that people can receive and ask the question whether or not that could be subject to a garnishment order. And the reason we’re doing this show is because one of the main reasons people end up going bankrupt or filing a consumer proposal is, I don’t want my wages to be garnisheed. Ted M: Right. They’re afraid of what’s going to happen. They’re having a hard enough time living paycheque to paycheque and suddenly now part of their paycheque’s disappearing. Doug H: And so if you have a job and are getting paid wages then it is very likely, well not very likely, but it is possible that your wages could be garnisheed. But other sources of income may or may not be able to be garnisheed. So, if they can’t be garnisheed maybe you don’t need to do a bankruptcy to prevent a garnishment order. Maybe there’s other reasons but maybe you do. So, okay let’s start with Ontario Works also knows as social assistance, can social assistance, can Ontario Works be garnisheed? Doug H: That is a special act that covers this particular thing. Ted M: We’re going to throw more laws at you today than anybody wants to hear about. But it basically says that basic financial assistance, which is what Ontario Works, social assistance, welfare cheques are, is not subject to alienation, transfer and is not subject to a garnishment attachment or execution seizure or receivership order under any other act. So, it basically says that they can’t garnishee your Ontario Works money. Doug H: What if I owe child support and I’m on Ontario Works. Ted M: This is where it always gets great. So child support can be taken from any sort of income. Doug H: And that’s specifically mentioned in the act too. Ted M: That’s right. And it’s basically because if somebody’s been ordered to pay spousal or child support, then presumably that order is based on whatever type of income they had at the time and the recipient needs that income to maintain a standard of living for the child or the ex-spouse so it’s just got to be done. Doug H: Okay, so that makes sense then. So, Ontario Works cannot be garnisheed except if there is a support order outstanding then possibly that it could be. Doug H: So then let’s go into the next category which is disability payments. So, can a disability pension be garnisheed? Now there are two common categories, company plans and government plans. So, a company plan would be where you have a disability coverage through work so if you become disabled the disability insurance plan pays you. So, I mean in effect it’s a replacement for lost wages because you can’t work. So Ted the question is garnishee or no? Ted M: So it can be garnisheed. And so the real critical element here is that it’s an insurance plan that you’ve purchased to replace your wages. It’s not a social benefit. So the act says for the purpose of this section, payments from an insurance or indemnity scheme that are intended to replace income shall be deemed to be wages. So it’s very clear, if you’re off work and you’re receiving insurance benefits from work, they can be garnisheed. Doug H: And that’s from the Ontario Wages Act. So, that’s the way you’ve got to think about it, disability payments from work are just like wages, really no different. So, okay that’s if I have a company disability plan, what if I’m getting my disability payments through a government organization like for example ODSP? So ODSP stands for Ontario Disability Support Program and of course there is an act called the Ontario Disability Support Program Act, what does it say? Ted M: Alright so it specifically says in section 18, income support under this act, subsection B, is not subject to garnishment attachment execution seizure or receiver under any other act. So, it cannot be garnisheed. Doug H: And same clauses though with respect to support orders. Ted M: Yes and no, and that’s going to apply in every case. So, I guess we need to make sure that people clearly understand there are execution creditors, people that have sued you that have the right to try and garnish your wages. And then there’s orders under the family law act for support. The Family Law Act orders are always going to be able to pursue whatever form of income you have if the court has ordered that you’re required to pay support. Doug H: So there you go. So to summarize this then, wages can be garnisheed, disability payments from your employer for lost wages can be garnisheed ’cause they’re really just a replacement for wages. Ontario Works and Ontario Disability Support Payments, ODSP cannot be garnisheed or attached because as you said the execution creditors cannot get them with the exception of support orders for child support or spousal support. And we know all this because we’ve reviewed the Wages Act, the Ontario Works Act and the Ontario Disability Support Payments Act. So that’s more lawyer stuff than we’ve ever done on this show. Ted M: And there’s more to come. Doug H: More to come because the final common category that people get is pensions. And yes of course there is an Ontario Pension Benefits Act; it’s by far the longest of acts that we’ve looked at so far. The Wages Act had eight sections; the Pension Benefits Act has 116 sections. So, Ted you’ve read them all I know. You’ve always wanted to be a lawyer when you grew up. How many of those 116 sections in the Ontario Pension Benefits Act deal with garnishments? Ted M: Let me think about this, none. Doug H: None. So, if you get a retirement pension from where you used to work, there is nothing in the legislation that specifically permits a creditor to garnishee. That’s good. 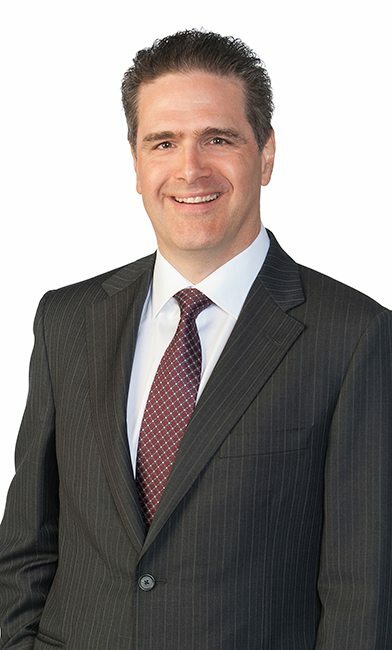 Doug H: Now there’s also federal legislation, called the Canada Pension Plan Act, it has 118 sections ’cause of course the feds have to have a couple of extra sections. How many of those sections deal with wage garnishments? Doug H: Good. So, the final category of government pensions is the old age security program, which is the Government of Canada’s largest pension program, a lot of people don’t know that. So, can retirement income be garnisheed? So, let’s start with OAS, so the Old Age Security Pension, that’s a monthly payment. It’s available if you’re age 65 or older and you meet, you know, Canadian legal status, meet the resident’s requirements. You probably have to apply to receive it. Back in 2016 the income threshold was $73,756. So, if you earn more than that you don’t get the full OAS pension. And in addition to the OAS pension there are three types of OAS benefits. I mean I don’t know how the government could have made this more confusing but there’s the guaranteed income supplement and so what’s the guaranteed income supplement? Ted M: So you live in Canada and you’ve got a low income, this monthly non-taxable benefit can be added to your OAS pension. Basically it’s topping you up. Doug H: It’s a top up. And then there’s also an allowance, what’s the deal on that one? Ted M: So if you’re 60 to 64 years old and your spouse is already receiving OAS pension, you may be eligible for the guaranteed income supplement. So, it’s a top up if you’re the spouse of somebody receiving the pension already. Doug H: And you’re obviously slightly younger than them. And there’s also something called the Allowance for the Survivor. Ted M: Right. So, if you’re 60 to 64 years old and you’re widowed or a widower, you may be eligible to receive this benefit. The idea is that it’ll bridge you until you’re eligible to receive the benefit yourself at 65. Doug H: Right. So, those last two, the allowance or the allowance for the survivor obviously disappear when you’re 65 because then you’re getting the full OAS. So, there is of course an Old Age Security Act. Fortunately it’s only got 46 sections. So, Ted is there anything in the Old Age Security Act about garnishments? Doug H: Nothing. So OAS can’t be garnisheed by a normal creditor. But your payments can be suspended by the government if you cease to reside in Canada or if you’re in jail or if your income is too high. But those are not garnishments. Doug H: So, okay let’s talk about some exceptions to all of this then. So there’s nothing in the legislation that allows a creditor to garnishee my CPP or OAS so that sounds great. Doug H: But there are five cases, at least that I can think of, where you could lose some or all of your government pension. So, Ted I’m going to say the list and you just fire in your comments on each one. So, number one exception to the pension rules is pension funds deposited into a bank account where you owe money. Ted M: So, once the money is deposited into your bank account it is co-mingled. So it’s no longer pension money and now it’s just your money and the banks have the right to seize it if you owe them money on one of your other accounts. It’s called The Right of Set off. So basically if you owe $500 on your Visa Card you’ve got $500 in your bank account, wherever that $500 came from, they’ve got the right to take it if you don’t make your payment. Doug H: So pretty simple. And that’s why we always recommend if you’re going through financial trouble it might not be a bad idea to open a new bank account at a bank where you don’t owe money. Ted M: That’s an excellent way to protect yourself because the banks will do this without telling you. Doug H: Because they have the power to do it. Okay so the second exception to this rule that says pensions can’t be garnisheed, what if I owe child or spousal support arrears? Ted M: Okay, so remember we said all along here that if you – sorry, support orders from the Family Law Act can take up to 50% of your pay. It’s usually done by the Family Responsibility Office, which is another government agency. So if you owe support they can come after your pension too. Doug H: And we’ve certainly seen that happen. 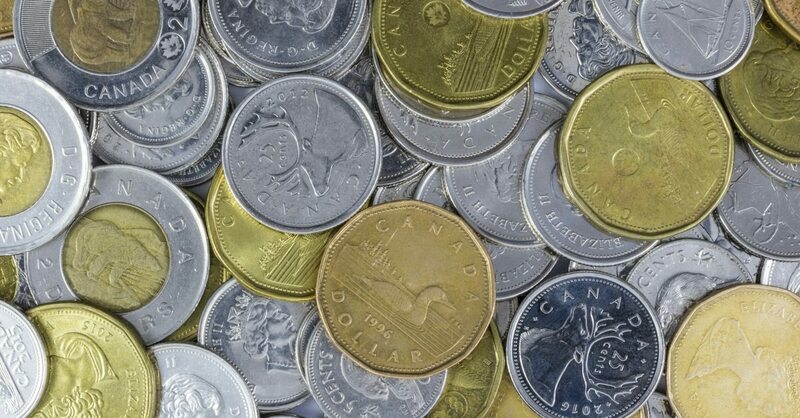 Doug H: Now I kind of glossed over Revenue Canada in one of the previous segments. So, if I get a pension and if I owe money to Canada Revenue Agency, obviously for taxes, what power do they have? Ted M: Well, at Canada Revenue Agency, I mean they’re a power onto themselves. So they can do all sorts of things without getting any oversight from anyone else. So no court orders required, they simply send a letter to your bank or to whatever program is offering you the benefit and start garnishing or seize the money. Doug H: So they can send a letter to CPP or OAS or whatever and start taking money. Ted M: And when you think about it, it’s just the same right of setoff that the other creditors have, it’s just that the government is more powerful. So, if you owe them money for taxes why would they keep paying you your pension? Doug H: And we’ve actually seen that happen. Ted M: Yeah and it’s frustrating for seniors because obviously the folks receiving that pension, it’s usually the only form of income that they’ve got. Something horrible has happened and now they’ve got the added problem of the government wanting the rest of their money. Doug H: Yeah because if they had other sources of income, the government would be going after that presumably. So, okay so category number four, exceptions to the pension rules, income security overpayments. What are we talking about here? Ted M: So if you get a government benefit think of it like the Old Age supplement. Another one is the Child Tax Benefit, things like that. If they overpay you, or have overpaid you in the past, then they will claw back a portion of your benefit in the future. They don’t consider it a garnishee per se; they consider it a claw back and an offset. Doug H: But the effect is the same. Instead of me getting 800 bucks a month, now I’m getting 400 bucks a month. Doug H: If it walks like a garnishment and quacks like a garnishment, it’s a garnishment, right? Doug H: So, and I guess kind of a very similar line, number five in the exceptions is social assistance repayments. Ted M: Right, so same thing. If you’re on Ontario Works or ODSP or any form of social assistance or welfare, if they believe they have overpaid you in the past then they will claw back a portion of your future benefits to recover that money. Doug H: Cool. Okay now everything we’ve talked about up to this point we’ve been quoting the act. Ted has spent the last five weeks in detailed study reading every single act. And we’ll summarize all this at the end but there is one more source of income that we haven’t talked about and it’s a source that Ted and I have never encountered in real life and it’s not covered by any legislation so we don’t really know what the answer is. But hey, that’s never stopped us before, we’ll discuss it anyway and that’s basic income. So, back on show number 114 in November 2016 my guest was David McDonald, a senior economist with the Canadian Centre for Policy Alternatives. On that show David described the concept of basic income and if you’re interested in a full explanation I’ll put a link to that show over in the show notes over at hoyes.com/podcast. In simple terms if basic income became widely available, everyone would get a payment each month whether they are working or not. Now in 2017 the Ontario government started a pilot project to test basic income. A pilot project is currently operating in Hamilton, Brantford and Thunder Bay, participants must have lived in these communities for a least a year and still live there. They must be between 18 and 64 years old. So this isn’t for seniors, obviously there’s other programs for them, and they must have a low income, which is defined as being under $34,000 if you’re single or under $48,000 for couples. Participants in this test will receive around $17,000 per year for a single person or $24,000 per year for couple less half of any income they earn. People with a disability will receive an extra $500 per month. And I’m not going to get into the mechanics of this and whether it actually makes sense or not. I mean my comment off the top of my head would be this doesn’t sound like basic income if you’re going to have these deductions and so on and so forth. But okay, fine, that’s the way the policy is right now. So, here’s the question, if you are a member of this pilot project and you’re receiving a basic income payment and you have debts, can your basic income payment be garnisheed by a creditor? And this is a very relevant question because as we know from our Joe Debtor study, people who file a bankruptcy or a consumer proposal in Ontario have incomes that are around 40% less than the median income in Ontario. So since the participants in the basic income study are people with lower incomes, it is likely that at least some of the participants have debts. So, if they owe money on their credit card and don’t pay, could the credit card company go to court, get a judgment, and then enforce that judgment by garnishing their money basic income cheque? Ted M: And the answer is we just don’t at this point. It hasn’t been tested in court yet that we’re aware of. It doesn’t seem to meet the definition of wages because you haven’t earned this income for doing something, unless you consider being alive a way of doing something. Doug H: Well wages are defined as an employer paying you something and obviously there is no employer here. Ted M: It doesn’t appear to be a pension, right? I mean it’s, if anything it’s like government assistance. But unlike Ontario Works or ODSP, there’s no specific protection in the legislation so at this point we just don’t know. Doug H: Yeah. And we just don’t know. And I’ve talked to a number of people who are involved in this on many sides of the issue and this is a very serious concern. The pilot project is something that people sign up for and so a number of organizations, I can think of one in Hamilton in particular, have said, you know, we’re kind of reluctant to be encouraging people to sign up for this if what we’re really doing is giving them income that potentially can be garnisheed. Doug H: So it’s a bit of a worry. So at this point in time, our opinion is there is no specific law that says it cannot be garnisheed. Ted M: Right. So, it’s really going to come down to the first few test cases in court and the judge’s perception of what this law’s supposed to do. Doug H: And then presumably the government will then pass laws to codify how it should work, exactly what they’ve done with OW and ODSP. Ted M: One of the reasons this is so important is because people are saying that the basic income is a benefit that will replace a lot of other government programs. So right now it’s in the test phase but if the government likes the results, they believe that it’s beneficial to the public and can save them some money somehow, you know they’re going to roll this out in a bigger way and this is going to become a very important aspect of it. Doug H: Yeah because if everyone had a basic income you wouldn’t need Ontario Works. Ted M: Right or pensions. Ted M: Not the old age supplement or the CPP. Doug H: Yeah maybe those go away too depending on where at age 65 basic income disappears because there are other programs there. So you’re right they’re going to have to figure out what they’re going to do if this becomes a thing. And I would assume the government would just put those same clauses that you read from the Ontario Works legislation, the ODSP legislation and so on. Ted M: Can you imagine on how annoyed the public would be if suddenly they found out that these supplements were being garnisheed by creditors. There’d be a revolt. Doug H: Yeah we come up with basic income to support the banks. Ted M: That’s what it sounds like. Doug H: Which is what it sounds like. Ted M: So we’ll see. Doug H: So stay tuned, we’ll continue to monitor this very closely and as we know more we’ll report back. Obviously this pilot project will run for awhile at which point the results will be assessed and we’ll see what happens from there. So, okay let’s get to the meat of it then and that is what can you do if your wages are being garnisheed or about to be garnisheed? So, people now understand what can be garnisheed, what can’t be, let’s take the very simple case of okay, I’ve got wages and they’re saying they’re going to take me to court, they’re going to garnishee my wages or it has already started. So, Ted what’s the advice you give people in that situation? Ted M: Well, so unless you’re a lawyer and knowledgeable about this stuff, you need to get some help. The best advice I can give you is to call a licensed insolvency trustee because this is what we do for a living. You’re going to see ads from debt consultants, financial consultants, credit counsellors. All these people are trying to sell you something, they’re not necessarily going to give you the answer that you’re looking for. A licensed insolvency trustee is required by law to describe to you your options, what you can do to stop the garnishee to deal with all of your debts. Doug H: So if I am being garnisheed right now, what can I do to stop it? Doug H: You would have done that already. Ted M: You probably would have done that already. So you can try to negotiate with the creditor, whoever has got the execution against you for the garnishee and say look, this is what I’m going to do to help you. If they’ve gone to the trouble of garnisheeing your wages, I think they’re not going to be very receptive to any kind of deal you’re going to offer them at this point. Doug H: ‘Cause they’ve already spent the money on the court and everything. Ted M: Well and they only took you to court because you weren’t very faithful about paying them for whatever reason in the first place. So, you have legal options though, you have the right to file a consumer proposal or you could file for personal bankruptcy. And we could talk a little bit more about both of those things, it probably makes sense. Doug H: Okay, so let’s start with personal bankruptcy then. Personal bankruptcy stops a garnishment, is that correct? Ted M: That’s right. The only type of garnishment that it will not stop is for support orders, so child support, spousal support. Just like all those other exemptions we came across when we were reviewing the six or seven laws in this program, you cannot stop an order for support for somebody else through bankruptcy law. And the idea is that you’re diving your income to support your children, your spouse, from a previous relationship and that’s protected under the law. Doug H: So that doesn’t go away. But otherwise the garnishment will stop. So, the process would then be, they come in, they see you, you do up the paperwork, how long does it take to stop a garnishment? Ted M: So, someone that’s got all the information required to put these documents together, you can stop a garnishment in a couple of hours. It can literally be done that quickly. The reality is that we need to contact your employer after you’ve filed the bankruptcy. Give them a notice that’s called a stay of proceedings, we also send the same notice through to the court telling everyone you filed bankruptcy now, you’re protected under the law, the garnishee has to stop. Ted M: It’s already too late because somebody’s contacted your employer to garnishee your wages. The only way we can stop them is to contact your employer to say no, no, no you’re not allowed to do this anymore, this person’s protected under the law. Doug H: And so the speed at which we can stop the garnishment is really dependent on the information you can give us. If you work for a big, huge company that has 15 people working in the payroll department, it would be really helpful to know here is the person who is dealing with my situation, here’s their fax number, their email address, their phone number, they’re going to be at work this afternoon. Ted M: Well and you know what I found, the bigger the employer actually the longer it can take. ‘Cause you need to know in advance that if you’re working for a huge company, they probably do their payroll a week and a half ahead of time. And so we’ll send the notice to stop the garnishee immediately and if they’ve already processed your next paycheque, it’ll come off anyway. Now the good news of that is they’re required by law to send it to us and we’ll help you deal with it as part of the bankruptcy as opposed to it going off to your creditors and you never seeing it again. Doug H: So we do what we can to do it as quickly as possible, we can start that process once you have filed your bankruptcy and we electronically send your bankruptcy to the Office of the Superintendent of Bankruptcy and we instantly get back, assuming there’s no glitches in the system, a certificate of appointment which is then the piece of paper with the fancy number on it that we need to stop that garnishment. Ted M: Yeah we don’t apply to the court to get you protection, it’s an automatic provision of the law. As soon as you have filed and we’ve got that number and as Doug said it’s all done electronically, it takes like two minutes, your protection’s in place. Doug H: So in theory if you come in to see us at 1:00 and sign all the paperwork at 1:30 we’re pushing the buttons. We’ve got, like at 1:31 in the afternoon we’ve got the piece of paper back from the government. If you’ve given us your employer information already then, you know, by in theory at 2:00 we can fax it to them or email it to them and they can then start the process to stop it. But as Ted said well, if payroll’s already been processed for this Friday then it may be the next one before you see it stopping come off your paycheque. Ted M: It’s one of the first questions we ask someone, when is your next pay date so we can give you an estimate of whether or not can we get this thing stopped before your next payday or is it probably too late? Doug H: And then you know from a cash flow point of view what’s going to happen. Doug H: So everything you’ve said about personal bankruptcy, stopping a garnishment, what are the differences between that and a consumer proposal stopping a garnishment? Ted M: Well, so the protections under the law are the same. As soon as you file a consumer proposal, the creditor is stayed, which means legally they have to stop any type of garnishee, any type of enforcement action against you. So the same notices that we send under the bankruptcy, we’re going to send to your employer as part of the consumer proposal. And the difference between the two, bankruptcy’s is saying – you’re saying you can’t afford to repay any part of your debt, your proposal, you’re offering to pay part of it. And we’ve done whole programs on both of these things it’s a question of your own situation, which one of these solutions makes more sense. Doug H: Right. So back to your initial point, come in and see a licensed insolvency trustee. Ted M: Right because nobody else can do these things for you, you can’t go see a lawyer to get a bankruptcy filed or a proposal filed. You have to speak to a licensed insolvency trustee. Doug H: That’s just how it works. Kind of if you want heart surgery you have to go to a heart surgeon, that’s just how it is. So, we encourage everyone who thinks there’s a garnishment that’s about to start or is already in that situation even if it’s already started, even if it’s been going on for months, we can stop it, simple as that. Excellent. So if you need to stop a wage garnishment, today’s broadcast is a good place to start but I also recommend as we’ve just said, talking with a licensed trustee about your options. That’s our show for today. Full show notes including a lot of links to all of the different legislation we talked about today and the time stamps on each different topic we talked about if you want to go back and listen to a specific section, can be found at hoyes.com and we will have a full transcript at hoyes.com as well. Ted, thanks for being here. Ted M: Always a pleasure. Doug H: Thank you and thanks for listening. Until next week I’m Doug Hoyes, that was Debt Free in 30.